In some parts of Morocco, after a funeral the family gather and share a meal of couscous, the legend being that each grain eaten atones for a sin during the life-time of the deceased. 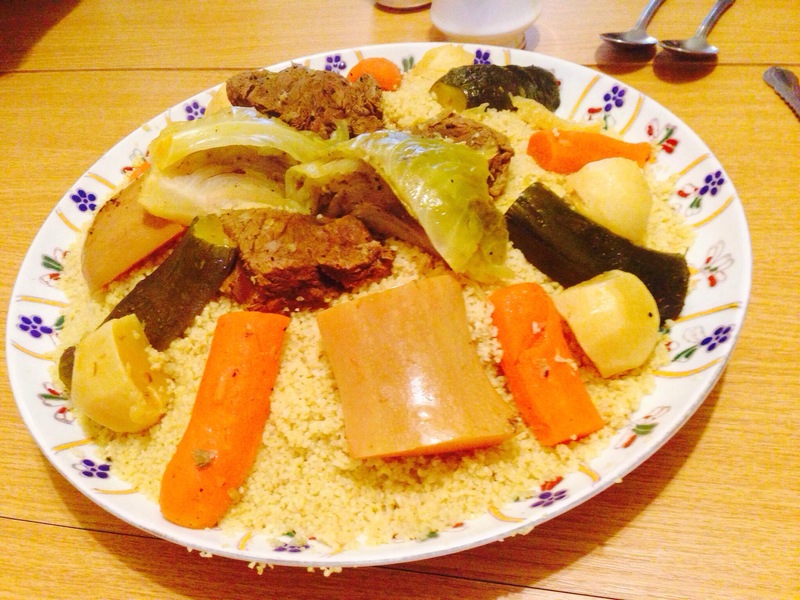 This week I joined a family for couscous (picture below) to mark the passing of 18 year old Imran Douglas who sadly killed himself in Belmarsh prison. Imran was British born, his maternal Grandmother from Morocco. You might think that an awful lot of couscous would need to be eaten to atone for the sins of young Imran, who had brutally murdered a pensioner in her own home. Imran, who had (unusually in a murder case) pleaded guilty for the crime committed when he was just 17, had been sentenced to a period longer than his age (a minimum term of 18 years), and sent to high security Belmarsh prison (until very recently he would have been detained in a Young Offenders Institution until he reached 21). Less than a week later he was dead, having apparently ended his own life. Few will shed tears or care about his demise, the memory of his horrific crime being fresh in the mind, having been vividly reported at the time, again at his sentence, and now once again on the news of his own death (the circumstances of which appearing to attract little curiosity). Indeed his passing appears to be celebrated by those who feel the need to express a view at all, commentary being summarised as “he got what he deserved, prison too good for him” etc. Yet watching the small gathering of family and friends who cared for or about Imran, one is reminded that he leaves behind his own family, including mother, sister, grandparents, and although they never condoned or tried to justify his terrible homicide they too have the same grief and feel the same loss as anyone bereaved. At least Imran Douglas acknowledged his responsibility by pleading guilty to his crime. It is a safe bet that nobody will admit responsibility for his death, and very unlikely that anyone will be found responsible. Is it right that someone so young was serving his sentence in an adult prison? Was he assessed as a suicide risk, and if not why not? Alternatively, if an acknowledged risk, how was it apparently so easy for him to take his life? And in the unlikely event that anyone had the time or inclination to look at why this young man ended up committing his crime in the first place, they could start by looking at the incident in April 2012 ago where he was hit by a speeding car, and put into a coma on life-support with severe neurological damage. Although no angel before, this was a life-changing incident, and when he came through his demeanour and personality had changed beyond recognition. Whether he then received the after care from occupational health and/or medical authorities is not clear, and may be out of the remit of the inquest into his death. The car that hit him? That was a police vehicle. No charges brought in respect of that. But that incident isn’t something you will have read about in the media reports about his death, as it doesn’t sit comfortably with the simple “evil murderer” narrative that allows us to share a feeling of revulsion and moral superiority. His family, at the wake in their small East London flat, know there was more to Imran than just the one awful crime for which he will be infamously remembered. And they have never stopped thinking about the consequences of that hideous crime, or feeling compassion and sympathy for the family of Margery Gilbey, along with guilt that it was Imran who was responsible. Nothing in this article should be considered as trying to justify that crime, but it is important that we at least try and understand it. And we can and should as a society deplore that murder, but it is not necessary as a corollary of that to celebrate the death by self-harm of the murderer. A suicide of a young person should always be a cause for concern, not a cause for celebration. Nothing can now bring back the victim of Imran Douglas’ crime, but at least justice was done when Imran pleaded guilty and was sentenced. It is unlikely that there will be any justice for Imran’s family, who have lost their son and been treated with indifference or outright contempt. And to our shame, few will care. 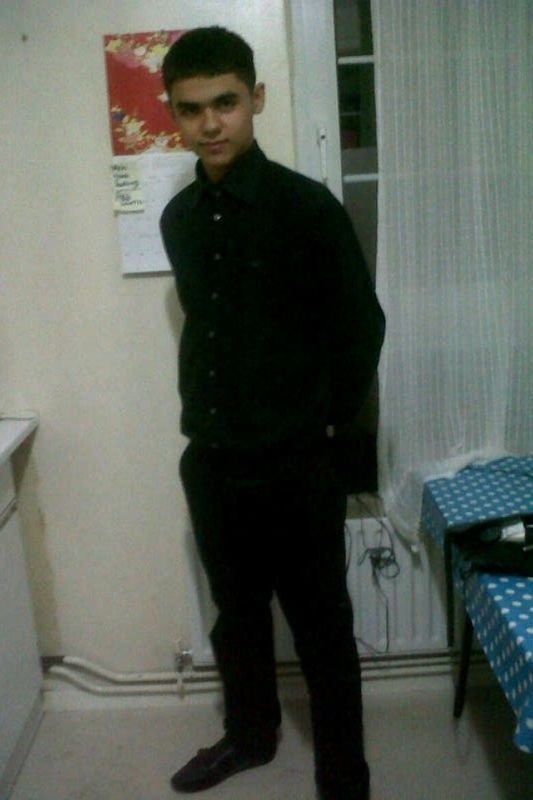 1 BELMARSH prison have confirmed that 18 year old Imran Douglas (detained at age 17) died in custody at the prison on 13 November 2013. 2 The cause of death is said to be suicide, although an inquest will take place to confirm the cause. 3 Police attended the prison and stated there were no suspicious circumstances. 4 Imran’s mother Carla heard the news informally via a third party the following day, but could not get official conformation of her son’s death for over 48 hours. She was in shock and taken to hospital, the prison initially refused to confirm where the body was taken. 5 Imran Douglas was buried following a service at East London mosque on 18 November. It was on the day of his funeral that the Daily Mail reported on his death and readers posted their gloating comments. 6 Imran’s family will be asking for help from Inquest, the charity providing free advice to bereaved people facing an inquest, with a focus on deaths in custody. They work for truth, justice and accountability for families and for policy change at the highest level. 7 This article/blog is written in a personal capacity, with the support of Imran’s mother Carla. One of the more moronic comments following the Mail article was one that claimed “you can tell from his photo he was born evil”. I disagree- in the charge photo, cloaked in a blue police custody blanket, he looks to me young and frightened. He was not born evil- and his family will remember the happy times shared together, although they cannot forget his crime, or stop thinking about how desperate, sad guilty and frightened he must have been when he took his own life. With permission of Carla, I include above a photo of Imran as they will try and remember him. I hope their questions are eventually answered. This entry was posted in Civil Rights, Featured, Law, Uncategorized and tagged belmarsh, Howard League, imran douglas, INQUEST, murder, prison, suicide on November 21, 2013 by Greg Foxsmith.